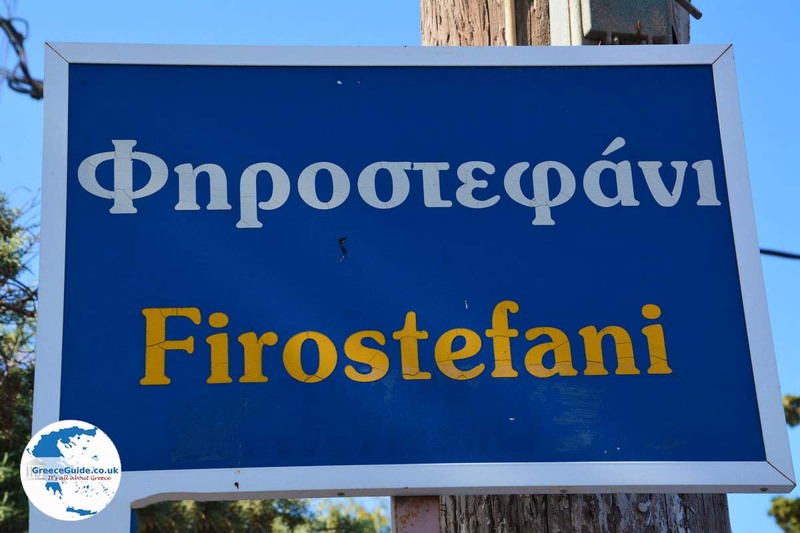 FIROSTEFANI. Firostefani is located north of Santorini's capital, Fira, (ten minute walk) and south of Imerovigli (fifteen minute walk). 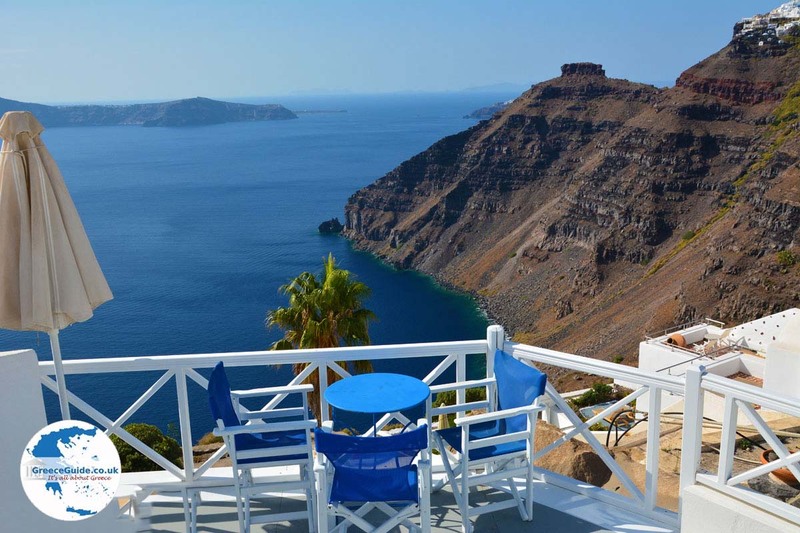 Firostefani is a traditional village with an excellent view to the sea and the caldera. 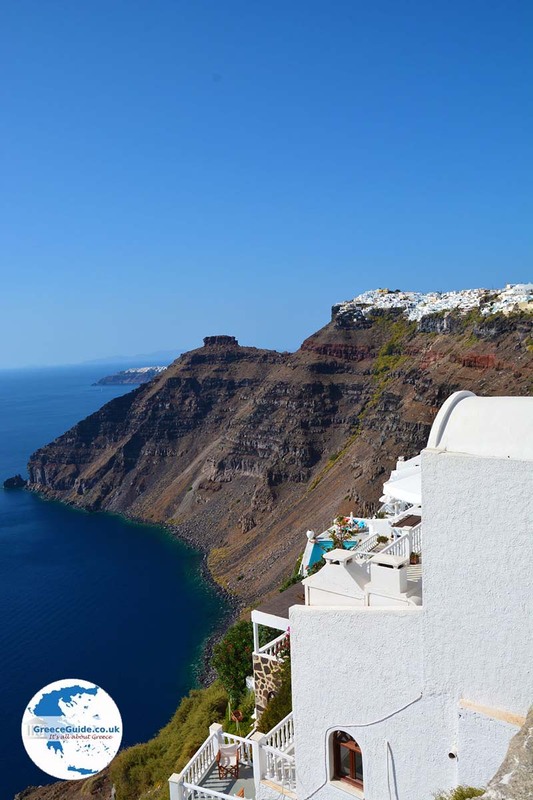 The steep cliffs here are stunning and some say the most beautiful Santorini sunset is seen here. 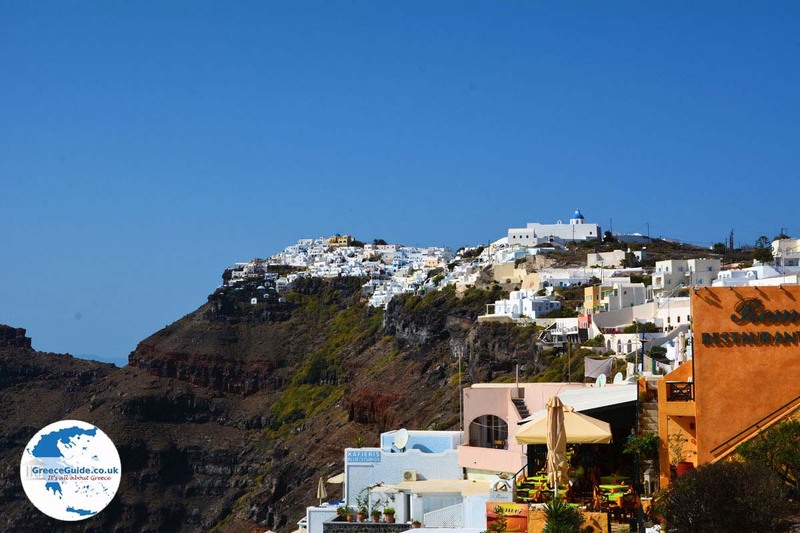 The village is situated at the highest point of Santorini and the name Firostefani literally means the Wreath of Fira. 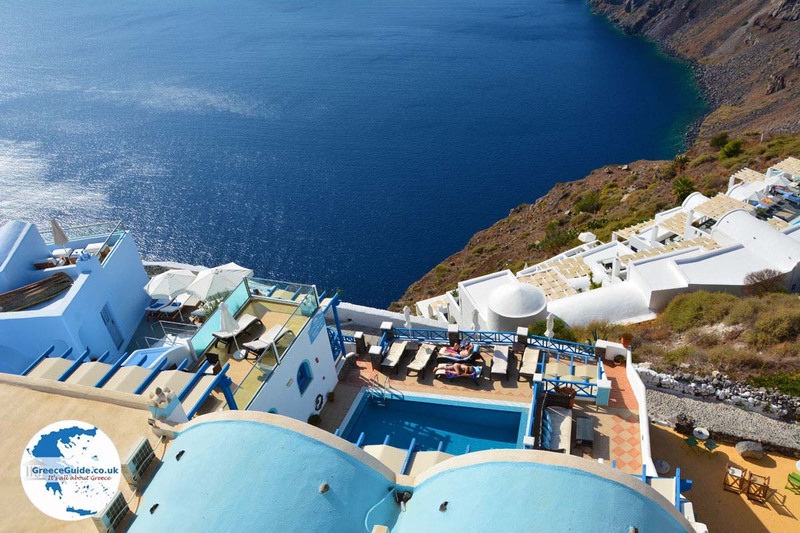 Many hotels offer visitors wonderful views from their balconies. The village has a nice square with good restaurants, cafeterias and cafés. 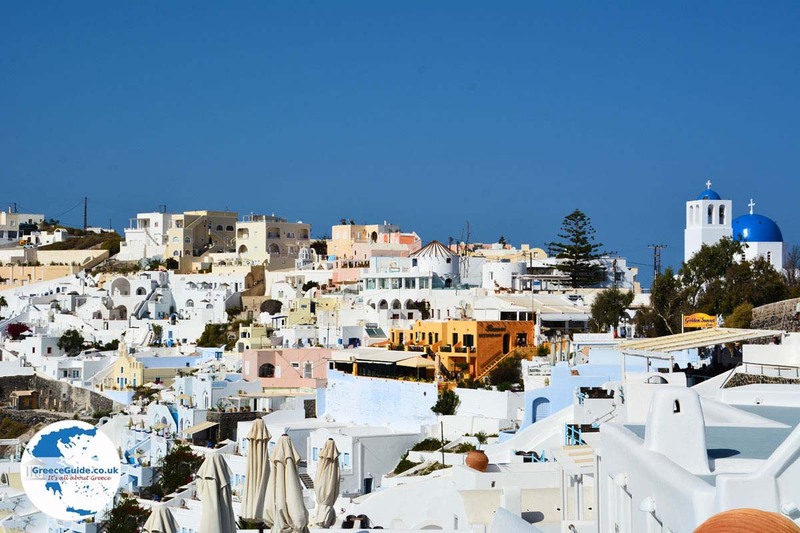 The atmosphere here is very pleasant and the white picturesque houses are the finishing touch. 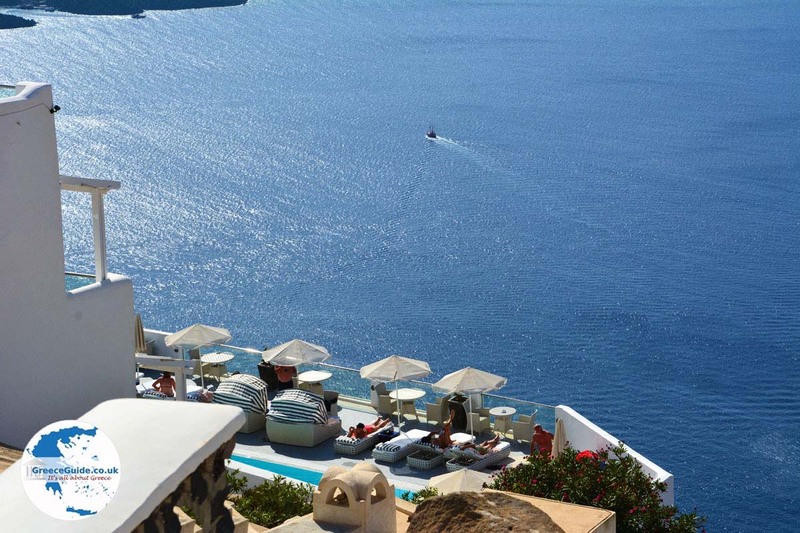 Firostefani is a little less crowded than Fira and slightly busier than Imerovigli, so it is the ideal place for those who like hustle and bustle. 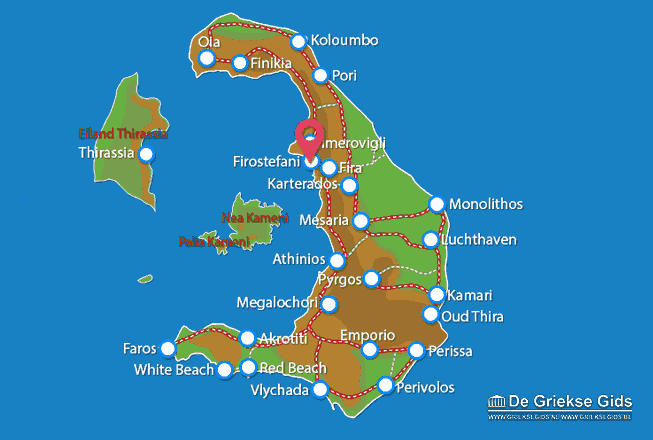 In Firostefani is the large church of Aghios Gerasimos. 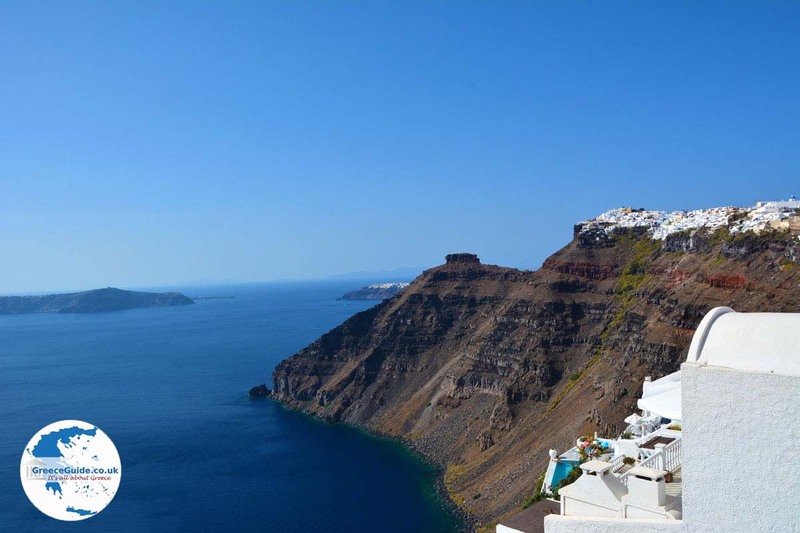 Firostefani is known for the fantastic sunsets that can be seen from the cliffs. 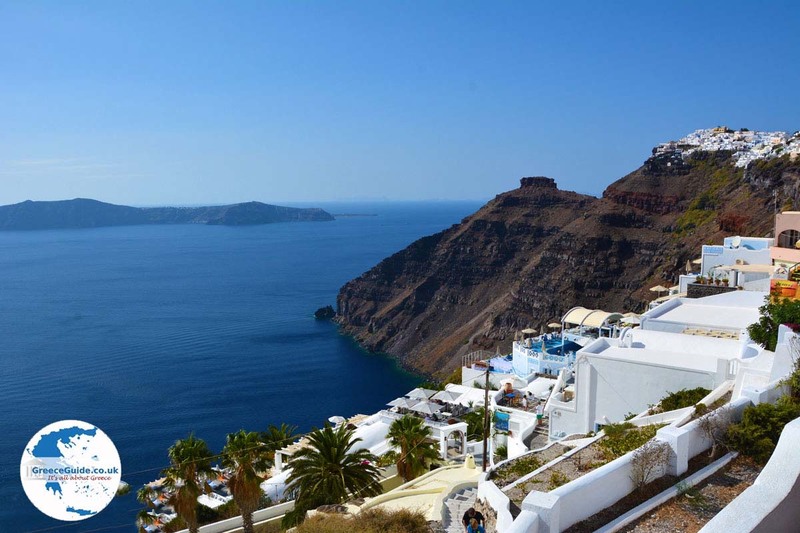 Santorini: Where on the map is Firostefani located?